Hello and a very warm welcome to my profile. My name is Kamarun Kalam, I am HCPC registered and a BACP Accredited Counsellor. As a qualified therapist my aim is to support you to feel more fulfilled in life. I want you to be able to speak your truth and feel heard, understood and seen. Over the past 20 years I have supported families, couples and individuals in need with various issues across several roles in the public and private sector. Person Centred/Cognitive Behavioral Therapy/ NLP & Hypnotherapy/ Sandplay /brief solution focused therapy/Emotional Freedom Therapy/ Family Therapy/ Couples Therapy/ EMDR and Hypnosis. I offer Clinical Supervision for Counsellors, and Life Coaching services as well as Psychotherapy and Counselling services dependent on your needs. I have worked with MIND the National Mental Health charity, CAFCASS (Children And Family Court Advisory Support Service), Birmingham City Council, Youth Offending Service, Fostering Services, Salvation Army Supported Contact Centre, Children with Disabilities team, Asylum Seekers team, Barnardo's Sexual Exploitation Team, and Children in Need teams and Employee Assisted Programs supporting people with variety of mental health issues. 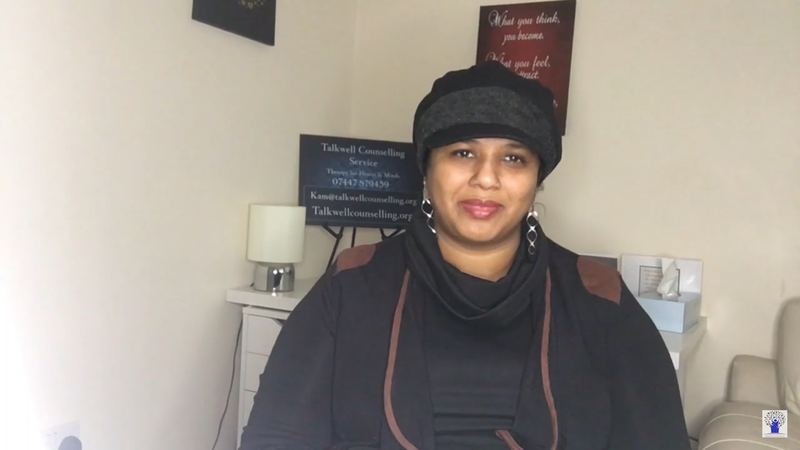 As a British Muslim woman I also offer specialist therapy that takes into account sensitive faith based and cultural issues within Asian communities. I can communicate in English, Bengali and Urdu.